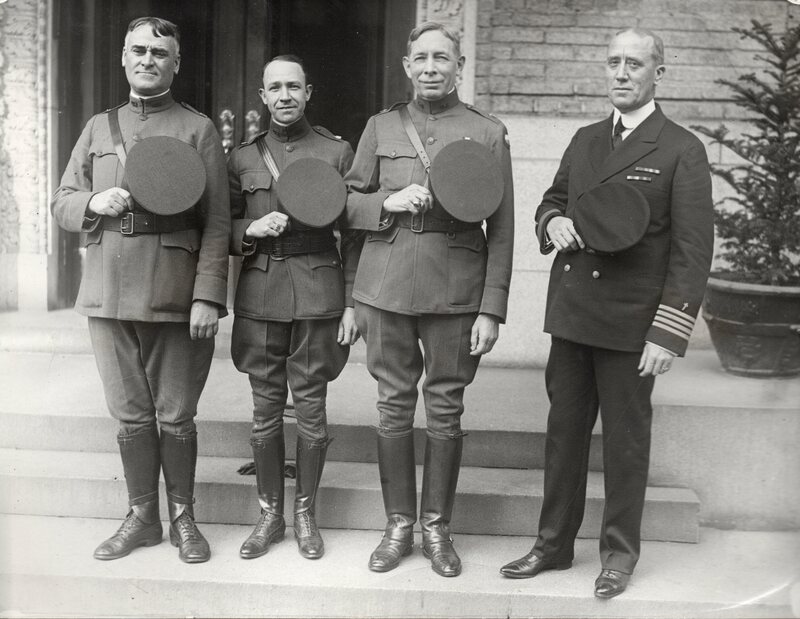 “Army and Navy Chaplains who will officiate at the burial of An Unknown American Soldier at Arlington National Cemetery, November 11th, 1921…” (author’s collection). Three years after the end of World War 1, an unidentified Soldier who had been killed in fighting in France during the war was brought to Washington D.C. and lay in state in the Capitol Rotunda until 11 November 1921. 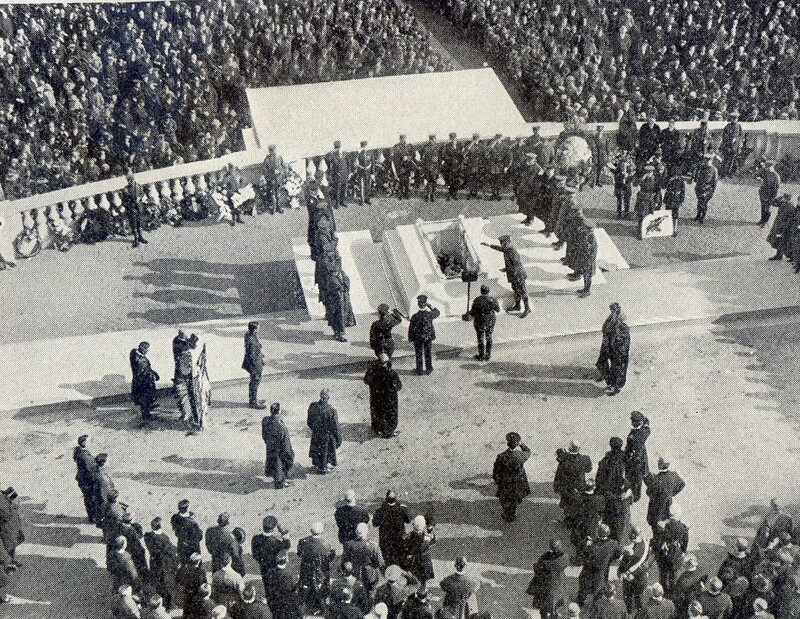 On this Armistice day, the body of the unknown Soldier was committed and interred outside the Memorial Amphitheater at Arlington National Cemetery, along with the dedication of the Tomb of the Unknown Soldier. President Warren G. Harding officiated at the ceremony while the Army Chief Chaplain, Colonel John T. Axton, presided along with Chaplain John B. Frazier, Supervisor Chaplains Corps, U.S. Navy; Dr. Norris S. Lazaron, Chaplain at Large, U.S. Army; and Rev. Charles H. Brent, Senior Chaplain of the American Expeditionary Forces. 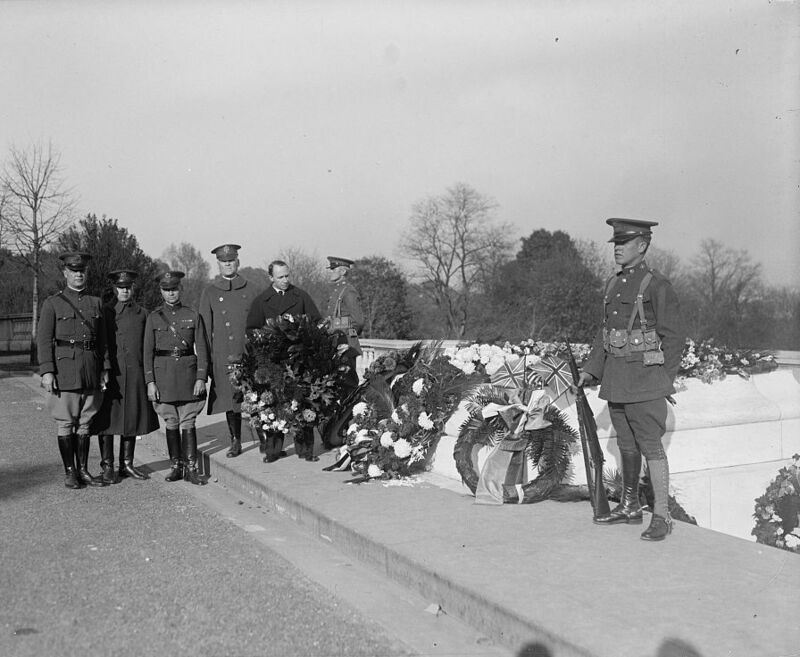 Chaplain (COL) John T. Axton commits the body of an unknown Soldier at Arlington National Cemetery, 21 November 1921 (author’s collection). In later years, the bodies of unidentified Soldiers from World War 2, the Korean War and the Vietnam War would also be interred along with the original Soldier from World War 1. In addition to national dignitaries, visiting Heads of State and other representatives of the United States and foreign countries, Chiefs of Chaplains continue to visit the Tomb of the Unknown Soldier, laying wreaths on special occasions to honor those Service Members who have died in our nation’s wars and those who remain unknown.